2736 Square Feet (167 Square Meter) (304 Square Yards) 4 BHK modern sloping roof home. 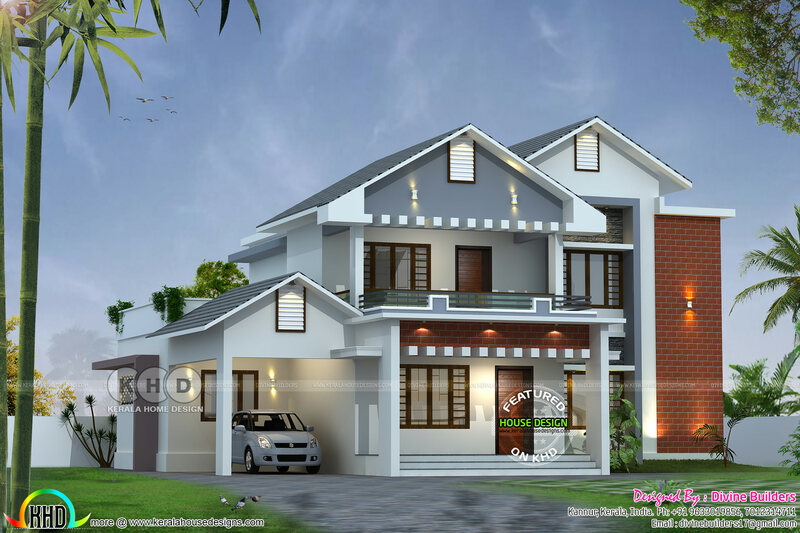 Total estimated cost this house is ₹46 lakhs (November 12, 2018) Design provided by Divine Builders from Kannur, Kerala. Ground floor area : 1476.39 Sq.Ft. First floor area : 1085.33 Sq.Ft. Total area : 2735.88 Sq.Ft. 0 comments on "₹46 lakhs cost estimated modern house 2736 sq-ft"